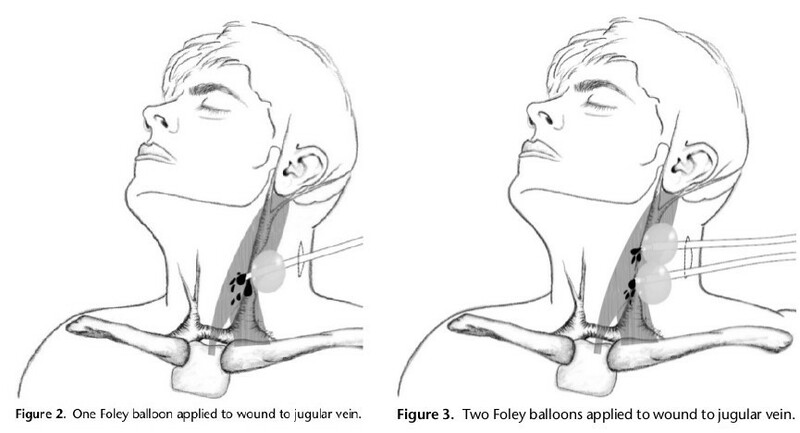 The military medical community has promoted use of Foley catheter balloon tamponade in the initial management of vascular injury owing to neck or maxillofacial trauma. The aim of the study was to compare outcomes with Foley catheter tamponade with those obtained with traditional use of external pressure. 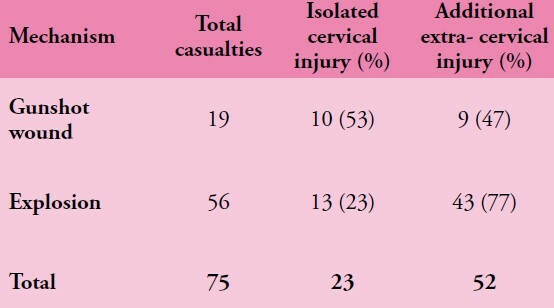 This retrospective cohort study evaluated all cases of persistent bleeding caused by penetrating neck or maxillofacial trauma received at one forward aid station between December 2009 and October 2011. Cohorts included those who were treated with Foley catheter tamponade and those managed with external pressure. Which treatment option was applied depended solely on the availability of Foley catheters at the time. The effectiveness of each technique in controlling initial and delayed hemorrhage is described, and the impact on mortality is analyzed using the Student’s t test and Fisher’s exact test. Seventy-seven subjects met the inclusion criteria with 42 subjects in the Foley group and 35 subjects in the external pressure group. A statistically significant difference was found between the groups regarding delayed failure, experienced by three patients (7%) in the Foley group and nine patients (26%) in the external pressure group ( p G 0.05). The difference in mortality, 5% (two patients) in the Foley tamponade group and 23% (eight patients) in the external pressure group, was statistically significant ( p G 0.05). For penetrating neck and maxillofacial injuries in a combat environment, Foley catheter balloon tamponade significantly reduced mortality when compared with direct pressure techniques through its effect on preventing delayed bleeding. 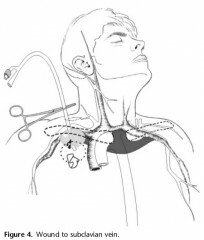 The Foley catheter tamponade is relatively simple and very easy to perform rapidly. Before its insertion in the cases examined in this study, a hemorrhaging wound was identified in the neck ormaxillofacial area, and a hemostat was applied to the distal endof an 18 Fr Foley catheter (30 cm3). The catheter was then introduced with a finger into the wound and directed along the wound track to the estimated or palpated source of bleeding, after which the Foley balloon was inflated with sterile water until the bleeding stopped or moderate resistance felt. If this technique did not stop the hemorrhage and either a deep wound or large defect was present in the bleeding vessel, it was considered that the balloon may have only been able to provide distal control. In such cases, a second catheter was introduced into the wound and inflated to provide more proximal control.